The line between celebrity and athletes has grown increasingly blurry over the past number of years. It is common to see athletes on late night TV or attending the latest Hollywood award shows. This environment -- typically reserved for actors and actresses -- has given athletes the opportunity to showcase their fashion sense off the field of play. The line between celebrity and athletes has grown increasingly blurry over the past number of years. It is common to see athletes on late night TV or attending the latest Hollywood award shows. This environment -- typically reserved for actors and actresses -- has given athletes the opportunity to showcase their fashion sense off the field of play. This shift has led to a number of fashion brands to consider investing in sports marketing and sponsorship. Whether it is Eugenie Bouchard on the cover of Flare magazine or GQ hosting an NBA All-Star party, fashion and sports are mixing more than ever before. Europe is known for its fashion influence and is home to many sporting teams that have a fashion brand on their sponsor roster. Dolce and Gabana, headquartered in Milan, has been a sponsor of the soccer team AC Milan since 2004. Since 2014, Hugo Boss has been a sponsor of Paris soccer team PSG. Last month, luxury footwear brand HERO became a sponsor of Manchester United. All are globally recognized soccer teams and are located in fashion-forward markets. In North America, it is more common to see fashion brands enlist athletes either as a spokesperson or as a consultant in the creation of new products. 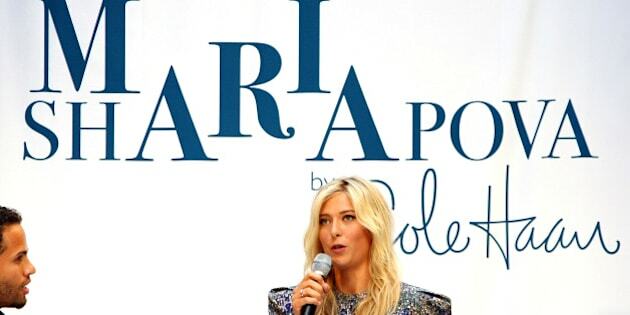 Luxury footwear brand Cole Haan launched a line of footwear which tennis star Maria Sharapova helped design. Having the athlete aid in the design process can create a true partnership and bring more authenticity to the clothing line. The opening ceremony at the Olympics always attracts significant attention across the world. In recent years, fashion brands have sought to capitalize on this attention by rolling out compelling team uniforms on the world stage. During the Sochi Winter Olympics, the American team was outfitted by Ralph Lauren and the Canadians were outfitted by Hudson's Bay. Through partnering with an athlete or sports organization, a fashion brand can find an effective way to tap into a mass audience and capitalize off of their high recognition. Not only will this audience be inherently larger due to the mass appeal of sports, but it will likely also provide exposure to net-new consumers previously not exposed to the brand. Athletes are generally thought of as the standard for health and fitness. Whether it is a Olympic sprinter or a soccer player, athletes generally have a body most people strive for. Through recruiting an athlete to appear in a fashion brand's marketing, they can create an aspirational message. As fashion and sports continue to blend, a few notable trends have begun to emerge. As much as fashion brands are looking to the world of sports for new sponsorships, athletic brands are also looking to the world of fashion for inspiration. Fashion icons like Katy Perry and Pharrell Williams are part of Adidas' endorsement roster and Jamie Foxx has appeared in a number of Under Armour spots. Whether it is due to a desire to increase their earning potential, hedge the risk of injuries, or set themselves up for a post-athletic career, athletes are increasingly finding ways to diversify their brand. Fashion partnerships helps athletes craft an image that transcends sports. As fashion brands begin to look outside the world of fashion to market themselves, athletes have been willing to demonstrate their fashion sense through brand partnerships. Whether it is walking the red carpet or arriving at the game, athletes continue to provide fashion brands with new and effective platforms to reach new audiences.